CMS Cleaning offers the affordable, prompt and professional carpet and rug cleaning for Phoenix metro residents. 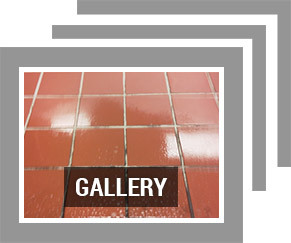 We also provide comprehensive tile and grout cleaning services throughout the Phoenix area. We have been the top choice of Phoenix metro residents for over 17 years when it comes to carpet, travertine, saltillo tile and grout cleaning. Our staff is experienced with all types of flooring, fibers and soiling situations, no matter how unusual they may appear to be. When you need the finest, yet affordable carpet, tile and grout cleaning service, please call our Phoenix Valleywide carpet, rug, travertine, saltillo tile and grout cleaning experts at 623-694-1141. CMS Cleaning is a reliable, affordable and prompt Phoenix carpet and rug cleaning service and grout and tile cleaning service in Peoria and Glendale, AZ too. Our team of professional grout, tile and carpet cleaners offer the finest carpet, tile and grout cleaning services throughout Arizona including Phoenix, Anthem, El Mirage, Laveen, Peoria, Queen Creek, Sun City West, Sun City Grand, Sun Lakes, Suprise, Tolleson, Waddell, Youngtown, Sun City, Whitman, Downtown, Litchfield Park, Goodyear, Buckeye, Avondale, Glendale, Tempe, Scottsdale, Paradise Valley, Gilbert, Cave Creek, Chandler, Mesa and Fountain Hills, AZ. We also provide expert grout and tile cleaning services including ceramic tile cleaning, saltillo tile cleaning, travertine tile cleaning, marble floor cleaning and natural stone flooring cleaning. Call our seasoned carpet and rug cleaners for your Phoenix or Scottsdale home or even Glendale tile and grout cleaning specialists when you want your flooring to look its best at 623-694-1141.